The Cassidy Clan is headed by the Chief of the Clan, who is given the title “An O’ Caisideach.” Sean Ó Casaide was our first An O’ Caisideach, and designated with honorary Chief of the Clan for life. Sean served in this position from 1991 until his death in 2003. 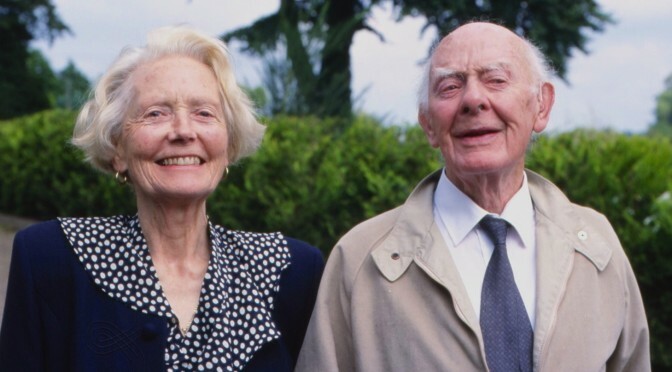 In an obituary reprinted below, The Irish Times wrote that Sean had “a passion for music, a love of the Irish language and a lifelong commitment to the education and well-being of children.” Born in 1907, Sean’s life spanned the 20th Century of Ireland. In an interview conducted by Stephen Cassidy in 1999, Sean discusses his family, significant Irish and world events, his work in education, and love of Irish music and culture as well as notable Cassidys in Ireland. The outbreak of World War I, the Easter Rising in Dublin, terror waged by the Black and Tans across Ireland are among the topics discussed by Sean Ó Caiside in the second part of the interview. This clip concludes Sean’s interview. Sean O Casaide, who has died aged 96, had a passion for music, a love of the Irish language and a lifelong commitment to the education and well-being of children. He was born on March 16th, 1907, in Mullinroe, Co Longford, the fourth of the 13children of John Cassidy and his wife, Elizabeth (nee Coen), primary teachers in the nearby Cloneen school. Growing up in turbulent times, he witnessed the torching of Granard by the Black and Tans. He won the King’s Scholarship to St Patrick’s Training College, Drumcondra, where the writer John D. Sheridan was a close friend and classmate. In his first teaching post in St John’s Lane in the Liberties, his class of 90 children came to school barefoot and hungry. From this experience stemmed his conviction that education is the key to the alleviation of poverty. This and a clear understanding of the enormous challenges that face the educator in deprived areas were central to his life’s work in education. He had little interest in material comforts and sent his salary home to provide an education for his younger siblings, after the untimelydeath of his father. Tugadh cuireadh do i 1931 a bheith mar mhuinteoir i Scoil Naomh Phadraig, bunscoil a bhi ceangailte le Colaiste Phadraig i nDroim Conrach: sa bhealach sinbhi pairt aige in oiliuint mhuinteoiri. Mar mhuinteoir og, rinne se ceimeanna H.Dip agus M.A. san oiche i gColaiste na hOllscoile, Baile Atha Cliath. Lena dheirfiur Daisy scriobh se an chead sraith leabhair I nGaeilge do phaisti bun scoile. Ceapadh ina Chigire Ceoil e i 1937, agus bhi se lonnaithe i nGaillimh agus i gCorcaigh. Mar Chigire Bunscoile, d’oibir se in Iarthair na hEireann (1941-’55). Nuair a d’eirigh se as an chigireacht i 1972, chaith se 10 mbliana mar Eagarthoir Ceoil sa Ghum. Ba mhinic a deireadh Sean gurbh e ceann de na laethanta a ba shona dena shaol, an la gur thosaigh se fein agus a athair le cheile a fhoghlaim Gaeilge, agus e mar dheagoir sa bhaile tar eis bunu an tSaorstait. Chuaigh Dubhglas de hIde i bhfeidhm go mor air, agus e ina mhac leinn aige in Ollscoil na hEireann. He had a lifelong involvement with choirs, bands and the teaching of Irish and classical music. Under his guidance the Scoil Naomh Phadraig tin-whistle band frequently performed on 2RN Radio. In 1935 he founded the choir of Craobh an Cheitinnigh, Conradh na Gaeilge, in which three of his brothers sang. He supported the work of Irish composers, convincing the minister of education in 1936 to assist the impoverished Carl Hardebeck with a yearly stipend of 150. He introduced many children to music, most famously his niece, Geraldine O’Grady. He was enormously proud and supportive of his musical relatives, including the O’Grady family, Frank Patterson and Patrick Cassidy, all of whom consulted him on Irish music. In his later years he enjoyed his role as honorary taoiseach of the reconstituted Cassidy Clan. Bhailiodh Sean seanamhrain sa Ghaeltacht, o dhaoine mar Roise na nAmhran i nArainn Mhor. Bhi se mar mholtoir sean-nois san Oireachtas ar feadh blianta fada, mar a raibh teagmhail aige le ceoltoiri mora na linne, cosuil le Sean O Riada agus Seosamh O hEanai. Ar theacht go Baile Atha Cliath do sna seascaidi, ba mhor an chuis misnigh do an “mion ghaeltacht” i Ranallach, mar a raibh moran teaglaigh le Gaeilge. Nuair a bunaiodh an dara Gaelscoil i Ranallach i 1995, ba e Sean abhaist Lios na nOg uirthi. His songs for children such as Teidi Beag Alainn, are a fitting testimony to hisgreat fondness for the young. His talents for composition and harmonisation wereparticularly valued by his own family, the group Na Casaidigh. Imbued by a deep faith, he composed an Irish Mass for the church choir which he conducted in Ranelagh for 36 years. Cuis mhor broin a bhas da bhean cheile, a chompanach ionuin, Noirin, da thriur inion Fionnula, Ailbhe agus Caitriona, da sheachtar mac Ruairi, Ciaran, Feargus,Fionntan, Aongus, Odhran agus Seathrun. Cailliuint mhor fosta da thriur dearthara mhaireann, Kevin, Martin agus Brendan.